Super quick, easy to make (only two ingredients) and totally delicious. 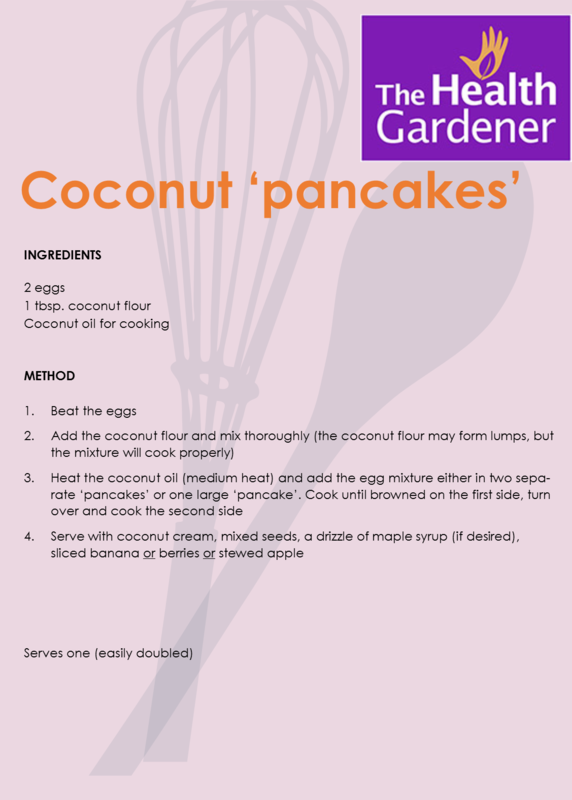 I serve these with stewed apples (with raisins & cinnamon), some sunflower & pumpkin seeds and topped with coconut cream. These can be served at any time of the day and make just as good a supper as breakfast. They are so quick to make they can be whipped up in the morning and taken to work with you if you have less time to eat (or made the night before ready for the morning). 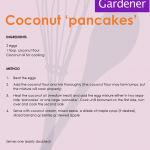 This recipe serves one person with either 2 small pancakes or 1 large (I usually make one its easier!!). Enjoy as much as I do.